The Education of safer and better skilled Technical Divers is my Work and Dedication. Creating and sharing something new and timeless out of each dive is my genuine Passion. Successful training starts with understanding who you are as a person, what your experience is and what your expectations are as as a diver. It is only then that we can start working together on your journey and training sessions beyond traditional standards. Many agencies offer an extensive range of courses but my focus has been to develop an expertise in the few I am truly passionate about. With over 25 years of experience in diving, my expertise in Sidemount & Technical Sidemount configurations is complementary to my Cave diving activities in Gozo, Mexico and France. 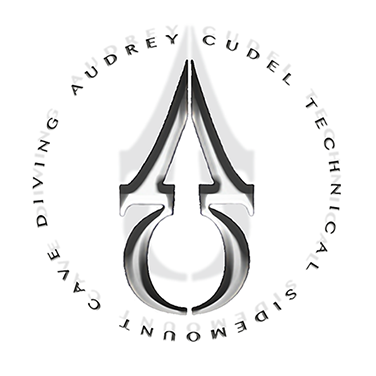 Even though I certify divers with various agencies as a Technical Sidemount and Full Cave Instructor, my concern is not an end 'certification card' : my passion is adaptive teaching to turn any weakness into an opportunity to develop. Train wise, train hard and keep on dreaming big : the difference between what you are and what you want to be is what you do. Technical Diving is also based on team work where we get to share knowledge, planning, execution, achievements and eventually memories. The best outcome can only be analysed through filming our immersions, debriefing based on videos and making an unforgettable photo album of what we have achieved together and of the diver you are becoming along your never ending journey. What you see is what you are.